Tantalize, relish, create, and indulge in our culinary pavilion. Experience master chef creations, taste sensations and tips for preparing favorites that will bring raves from family and friends. Local faire, your favorite grocers and organic products are here for you to experience. 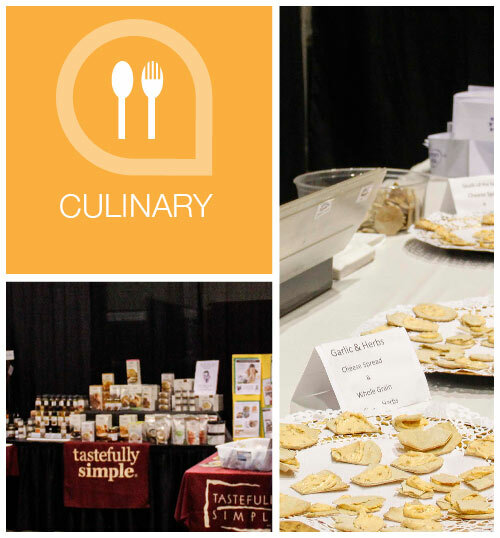 It’s all in one area, along with our popular wine tasting area, to compliment the gastronomic delights you’ll find as you witness on-stage demonstrations, innovative culinary products and samples of foods that will have you coming back for more.